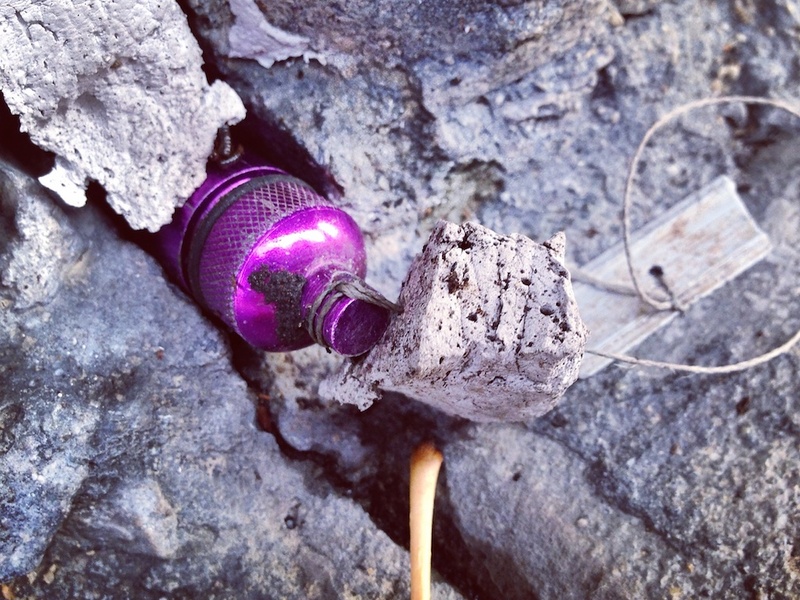 I found my first geocache in the bay area in November 2013. Having just purchased a GPS, I was curious about this global treasure hunting game called geocaching where you find containers others have hidden at specific coordinates. I immediately became hooked. In 2014 I logged 120 geocaches. One of the many reasons why I enjoy the game of geocaching is that it reveals another layer of society. Walk a mile in any direction and you will have walked past one if not multiple geocaches. Another reason I love geocaching is that the community is so creative. All geocaches have their own cool factor, but some really outshine others in their construction or placement. Today I’m going to celebrate some of the most creative geocaches I’ve found in the bay. If your curious about geocaching I encourage you to go experience their awesomeness! 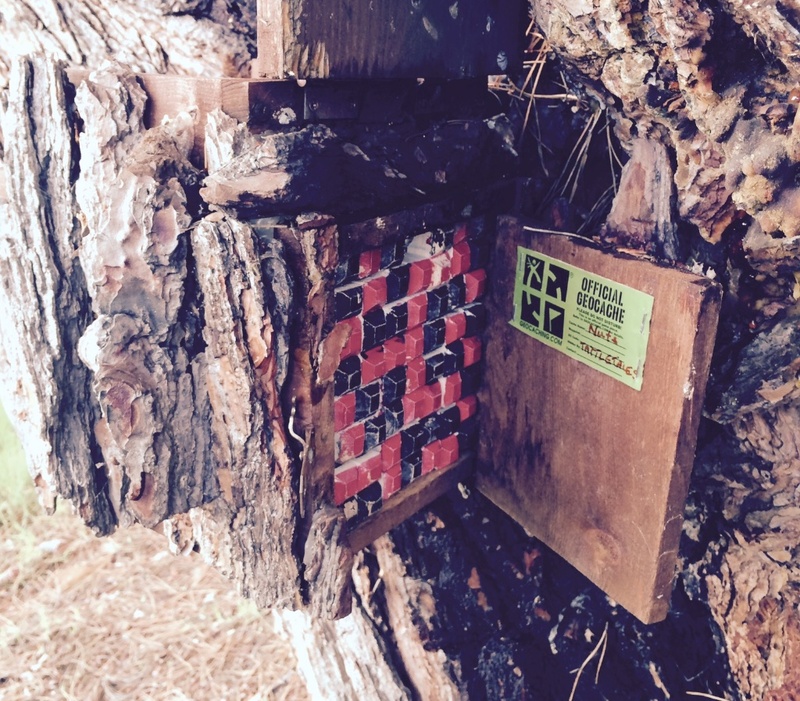 Why it is awesome: That red-black checkered pattern above is a puzzle you have to solve to reveal the enclosed cache! How to get there: On a weekend use the plentiful parking at the nearby businesses and go for a walk. See the plan when the Bay Area Explorers visited Nuts. Don’t stop here, Tattletales has hidden a few dozen other amazing, highly favorited caches around the North Coyote Creek Trail and Bayside Parkway in Fremont. 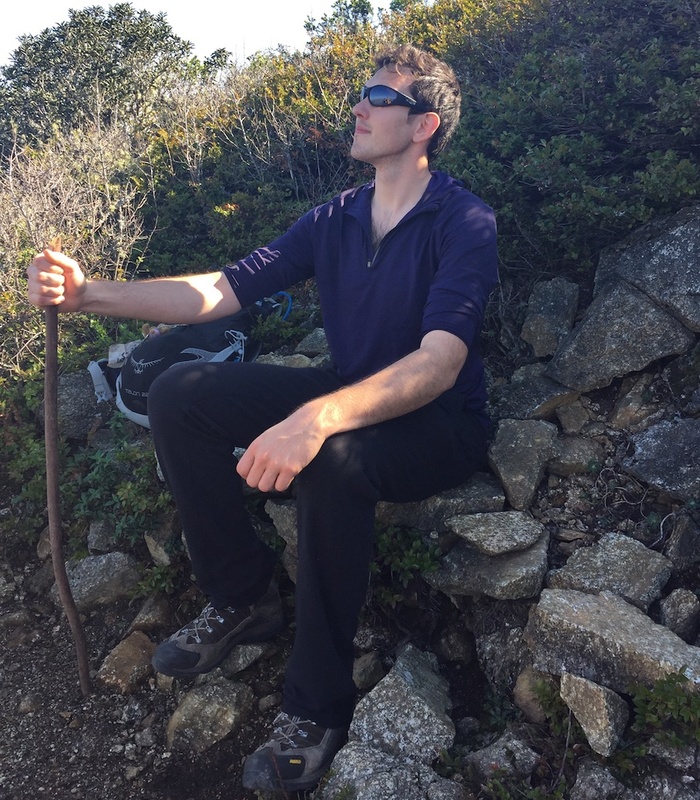 How to get there: Hike up to the Montara Mountain summit from San Pedro Valley County Park. Why it is awesome: Even though all the logs suggested this was the cache I still had second thoughts about grabbing it. How to get there: Just down the Los Gatos Creek Trail just after when it turns into dirt. Why it is awesome: I loved climbing trees as a kid and to access this cache you have to do just that! How to get there: Find parking near Stanford campus and walk the Stanford Arboretum. Don’t stop here, “cache up a tree” is a series of caches on the Stanford campus. Find them all! What does Premium mean above? Those are Premium Caches. The geocaching.com platform is free to use, but they still have to pay the bills. ‘Premium Caches’ are typically of higher quality, but can only be seen by premium members of the geocaching platform. I highly encourage supporting geocaching.com through this paid membership because I get far more than $30s worth of enjoyment every year. I’m in, what do I need? Pumped to get out there and find some caches? You only need a GPS device and a pen (to sign the caches). For urban caches I have cellular coverage so I use the geocaching app on my phone from Groundspeak. For trail caches I use an Oregon GPS, but you can pick up a low cost Garmin for around $100. Get out there! If you want to learn more about geocaching see Geocaching 101.